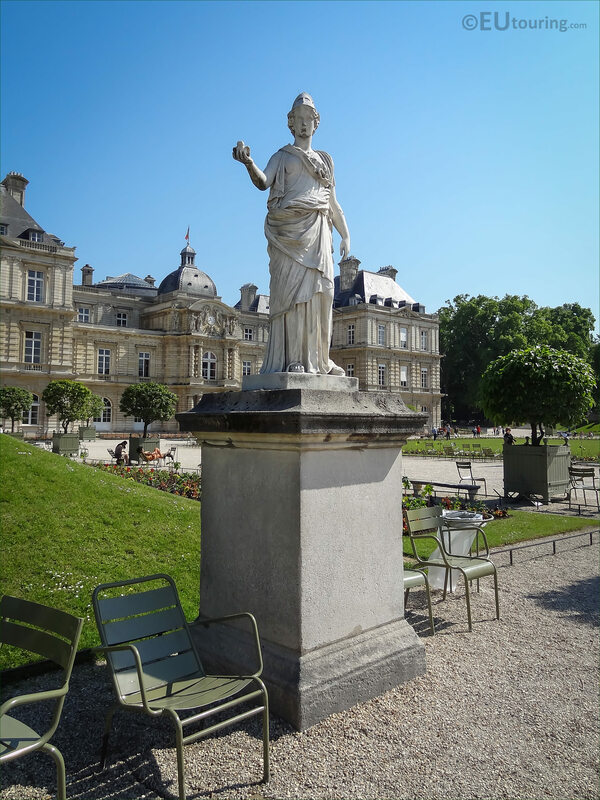 This time we were back in Jardin du Luxembourg in the 6th Arrondissement of Paris, when we took these high definition photos showing the statue called Minerve a la Chouette, who is also known as Minerva the Goddess of Wisdom. 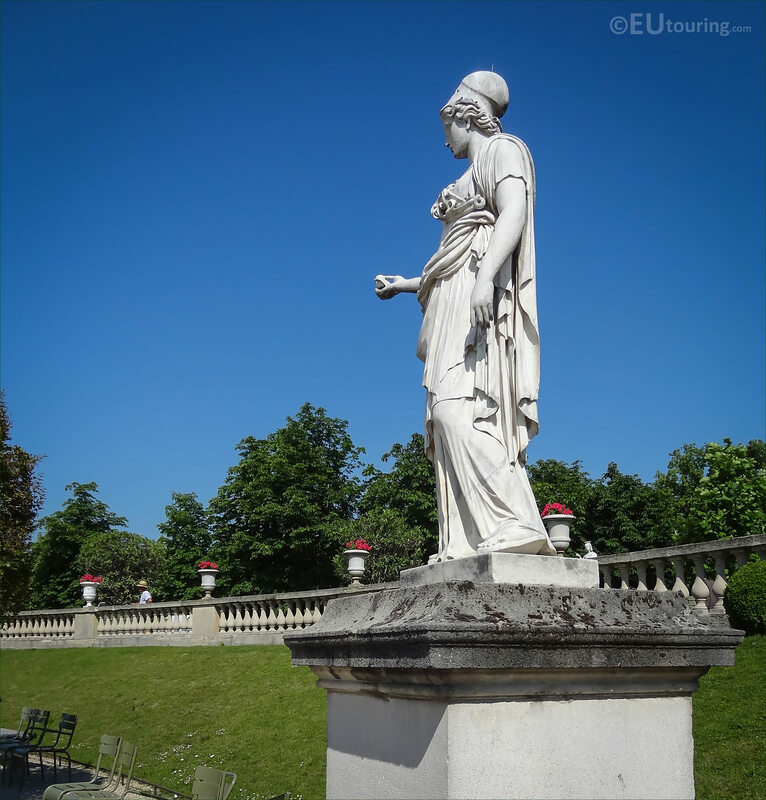 The statue of Minerve a la chouette translates in English to The Owl of Minerva and produced in marble at a height of 2.35 metres, as you can see from this first HD photo, this stands on a stone base, and is often depicted holding an owl representing wisdom. 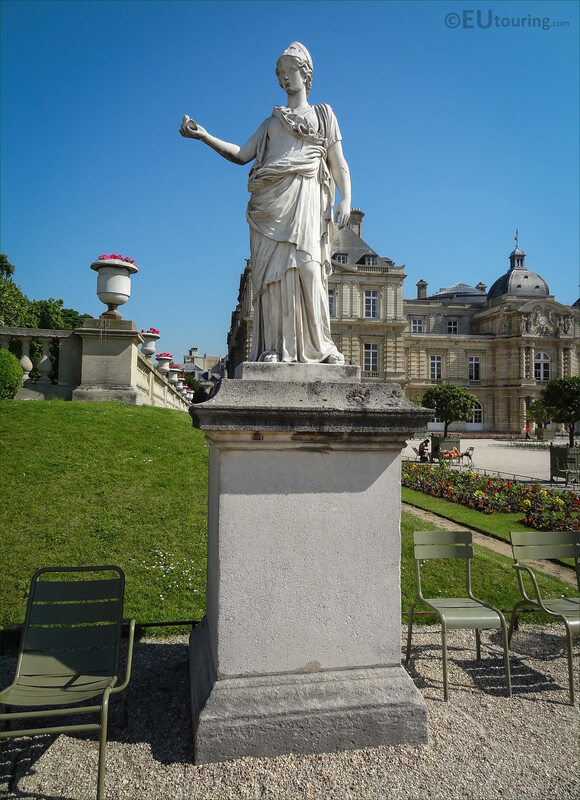 Unfortunately, the artist who executed this statue or the exact date of this sculpture are unknown, however, in an inventory for the Jardin du Luxembourg produced during year XI, which is the French Republican Calendar year 1803, a statue of Minerva is recorded as existing in the gardens. 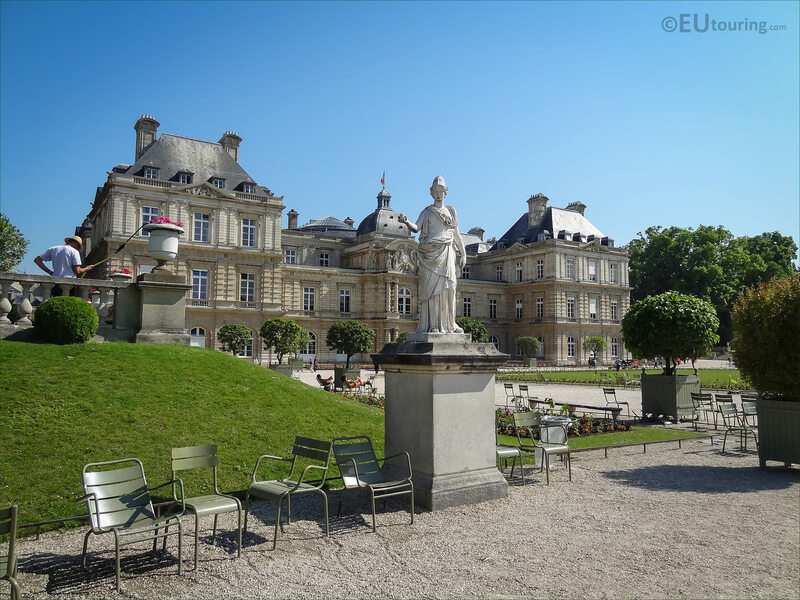 But there is an original statue of The Owl of Minerva that dates back to the classical era of around the 400s BC according the French Senate, who reside at the Palais du Luxembourg, which is the historical building and famous tourist attraction in Paris that you can see in the background in this photo. 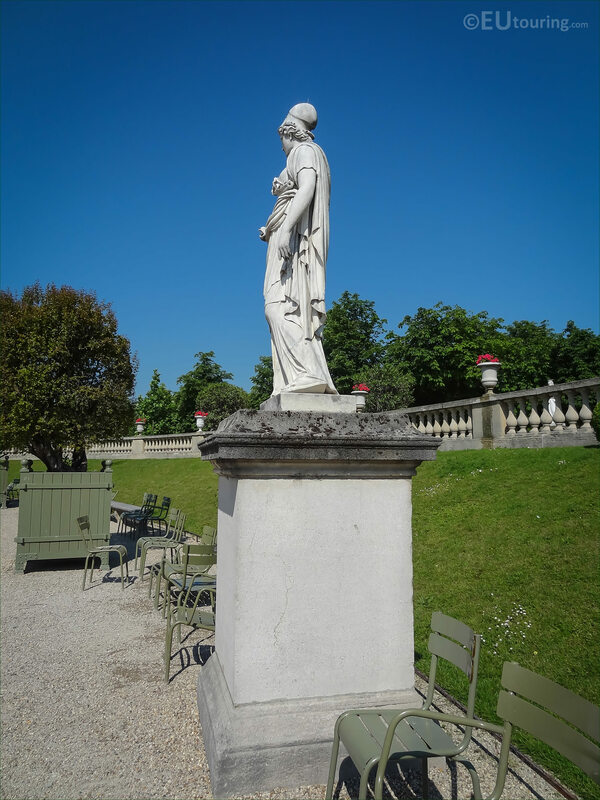 And the original was documented on an engraved plate Volume III plate 462 as part of the Grey collection of England, and according to the French Senate this was documented as being produced in Parian marble, which was the preferred stone for Greek sculptures dating from the Classical Era. 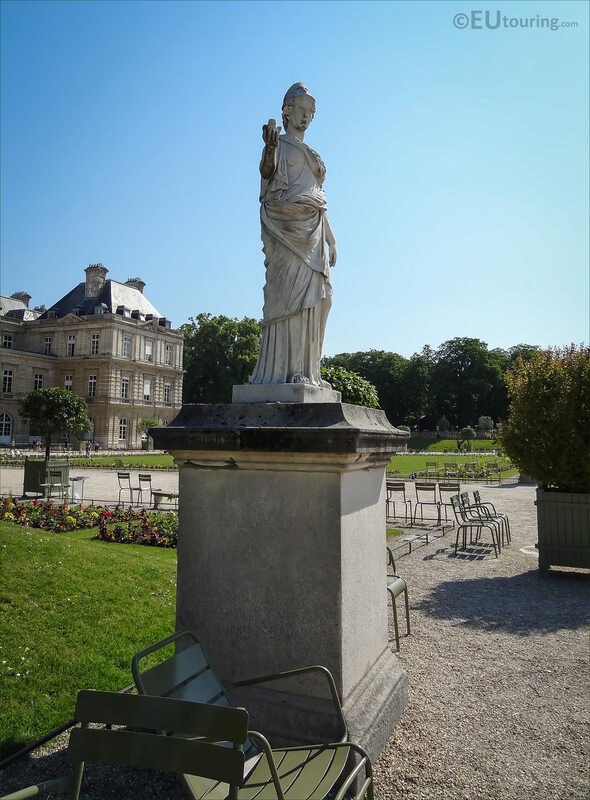 Also according to the documentation on the original, a lance was placed vertically along the body, but this is missing on the statue of Minerva that you can see in the Luxembourg Gardens, but it is still classed as part of the antique collection of statues that surrounds the Grand Basin. 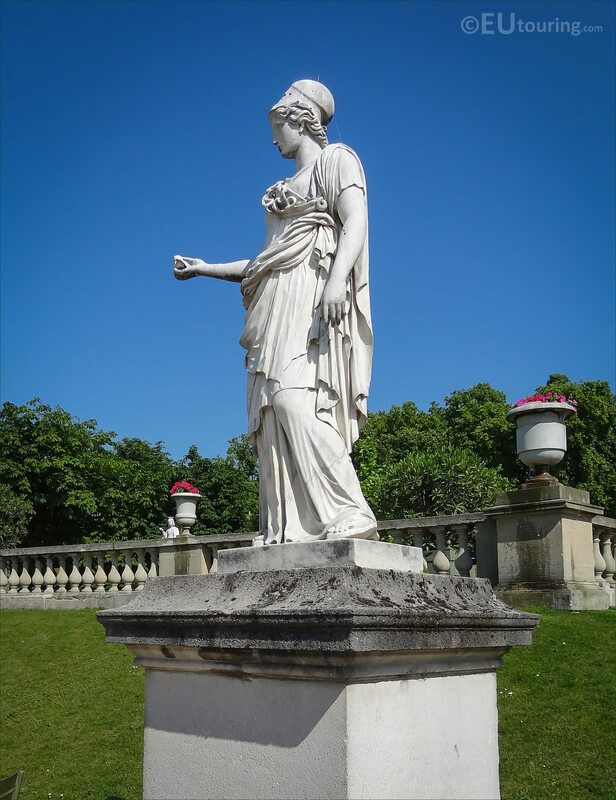 Now in this image, if you look carefully at the right hand of the Minerve a la chouette statue, you can see that she is holding an owl, and Minerva is the Goddess of Wisdom in Roman mythology, and this is where one of the old saying a wise old owl derives from. 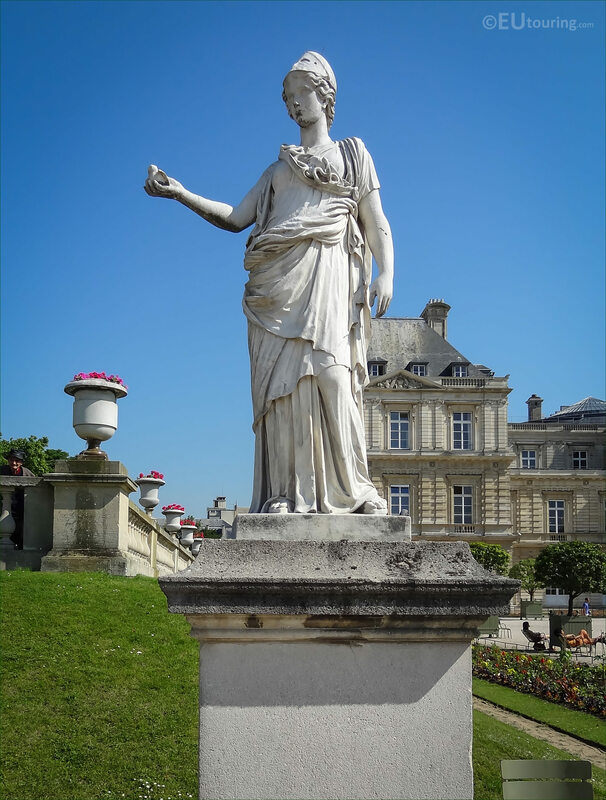 So, Minerva was the daughter of Jupiter in Roman mythology, and it is assumed that the Roman name came originally from Etruscan mythology derived from Latin, yet her Greek counterpart is the Greek Goddess Athena, who was also the goddess of arts, crafts and medicine. Yet according to both Greek and Roman mythology she was born from the head of Jupiter already with weapons and armour, which is why statues, paintings and sculptures like this one depicting The Owl of Minerva, often show her with head armour, as she is also referred to as the goddess of courage and victory, and hence why Minerva is depicted on the highest medal of honour for the United States.